This 4-1/2" Stone Wheel is for the G1036 Slow Speed Grinder. 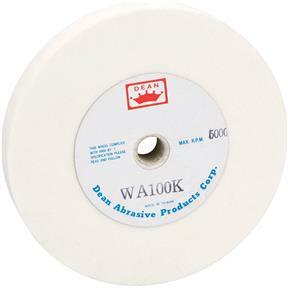 This 100 grit Aluminum Oxide Wheel allows the user to remove relatively large amounts of material. Great for shaping the cutting edges of your tools before honing on the larger wheel.